The Ather 450 electric scooter is built by an Indian technological company which was started by two college friends from Indian Institute of Technology (IIT), Madras, in 2013. It's taken nearly four years for the company, Ather Energy, and more than 50 prototypes to make the Ather 450 production-ready. And the 450 promises to break new ground and completely change the scooter space as we know it so far, at least, in India. We spend some time with the Ather 450 and we can say with conviction that we're impressed! Ather Energy was started by two friends from IIT Madras in 2013 and the Ather 450 is the flagship electric scooter. But first, let's go back a few years in time to understand the Ather story. In 2013, two young friends from IIT Madras decided to give up their respective jobs with two automotive majors to start designing and manufacturing battery packs for existing electric vehicles in India. To start the project, Tarun Mehta and Swapnil Jain went back to their alma mater, seeking some space and guidance from a former professor. One thing led to another, and while making and trying to provide battery packs to existing EV manufacturers, realisation dawned that it's not the battery or power source which is lacking in the industry, but an actual, capable and high-quality product, as well as the infrastructure around it. So, the two engineers decided to jump headlong into conceptualising and designing their first product, the Ather S340. The name "Ather" itself was taken from the Greek word, meaning "pure air" and the company was named Ather Energy, to imply the purest form of energy. But the Ather 450 is not just any electric scooter boasting of having green and clean technology. It's a smart electric scooter with a state-of-the art, 7-inch, touch-screen instrument panel that displays, among others, effective range, satellite navigation, remote diagnostics, and a host of other features. It's unlike any digital instrument panel seen on conventional scooters in India, and is certainly one of the most striking features of the Ather 450. Technology though is still developing on the Ather scooters, and will further evolve in later iterations to gauge rider behaviour, predict patterns in usage, riding style and even give out alerts on most frequented destinations and addresses, much like a modern smartphone. All this is calculated through a very intelligent on-board system which uses GPS, cloud connectivity and an IMU to measure and predict actual performance and diagnostic patterns based on individual riding style. On the move, the first thing you notice about the Ather 450 is the way the torque, all 20.5 Nm of pulling power, thrusts you forward the moment you twist the throttle. Of course, there's no internal combustion, so no engine noise; just a faint hum and muted 'whirr' as the electric motor gets into business. The digits on the digital screen climb quickly, and before you realise how fast you're going, you feel the strong and silent motor propelling you ahead of other two-wheelers on the road. Conventional scooters, like the ubiquitous 110 cc models on the street are soon left behind, as are motorcycles of similar engine capacity. The 450 accelerates quickly, and silently, and between red light to red light, it can despatch in-city distances quickly and efficiently. In fact, it feels a lot quicker than any other electric scooter we have ridden, and out in the real world, it can easily out-accelerate a lot of other commuter motorcycles and two-wheelers. The Ather 450 has a telescopic front suspension and a symmetrically mounted progressive mono-shock at the rear. The frame is a precision machined chassis with the front part made of steel while the rear is aluminium. The chassis design was finalised after numerous prototypes, testing and going back to the drawing board over and over again to give the 450 good road manners. And the results are apparent. Our first ride was within the city and in the urban environment, negotiating a fair bit of rush hour traffic as well, and we're happy to report that the Ather 450's handling is neutral and balanced, and during our brief ride, the Ather 450 didn't give us any reason for complaints on that front; not once did it leave us feeling unsettled, whether negotiating broken patches, u-turns and over speedbreakers. Ather Energy has a complete infrastructure to meet service and charging needs of customers. The Ather Grid has 17 locations around Bengaluru with as many as 30 charging points. The network is expected to be increased to include 70 different charging points in the next few months with a minimum distance of just 3 km between two charging points in the city. And the charging point will be installed at customers' home which will be free of any charges for a standard installation. And that's not all; Ather promises all maintenance costs will be covered under the monthly subscription of ₹ 700, which will include charging costs, maintenance, service and even consumables like brake pads and the belt drive. In the next level of expansion, the Ather scooters will be launched in Chennai and Pune along with the Ather Grid, and the company intends to launch the scooters and the supporting network across 25-30 cities around India in the next three to four years. The Ather 450 is priced at ₹ 1,24,750 (on-road Bengaluru), which includes GST, road tax, smart card fee, registration and insurance. For the first thousand-odd customers, the company will also include a charging cable, standard installation as well as one year of subscription free for the Ather One plan, which provides all service needs, data and charging costs as well as spares and consumables. The entry-level Ather 340 is priced slightly lower at ₹ 1,09,750 (on-road Bengaluru), but the company feels the discerning consumer may as well shell out a few thousand rupees more to opt for the more powerful Ather 450, which also boasts of slightly better range. Like its environment-friendly powertrain, the Ather 450's design is clean and neat. So, there's no flashy body graphics and no flamboyant colours; it's available in just one shade of white. The design overall isn't exactly beautiful in the conventional sense, but build quality if pretty good, and the neat lines and high-quality components certainly gives the 450 a premium look and feel. Of course, the over ₹ 1 lakh price tag may seem a bit steep at first glance, and it certainly would have made a very attractive product if it was priced below the psychological ₹ 1 lakh barrier. But considering the performance, technology as well as the charging network and service (including roadside assistance), the Ather 450 certainly makes for a compelling case as a practical, electric scooter, which is not only environment-friendly, but also has the performance for all commuting needs, maybe even bringing the fight to conventional scooters as we have known them so far. Honda Activa CNG Scooter (Scooty) launched in India by the government. The government launched the Two-Wheelers CNG Kit in Delhi, which has been doing combating a staggering air pollution threat, with the levels of pollution floating in the critical zone for most parts of the nation’s top metropolitan city. This CNG kit is approved by an ARAI (Automotive Research Association of India) and has been fitted in the gearless scooter which is made by the Japanese two-wheeler manufacturer (Honda Motorcycles India Ltd). Now, the government launched the 10 scooters for the Domino’s pizza boy for free of a complete run and gets their feedback after some pizza delivered. 50 more scooters have already retrofitted with the two-wheeler CNG kit. Honda Activa is the first two-wheeler in India, which is run from the CNG Fuel and it is very beneficial for our environment. In this CNK kit, there are two cylinders and each cylinder has 1 kg gas capacity. The estimated price of CNG Honda Activa is Rs. 65,000* and it’s not launched for the general public. The mileage of CNG Activa is approximately 120 km/liter. The normal running cost in the petrol engine is Rs. 1.3 per km in Delhi while in CNG it could be 60-65 paisa per km. The govt. claims, this CNG scooter at a distance of 120 kilometers in 1 kg. Every person has one question -Honda Activa CNG is safe? – Yes, it is passed by an ARAI and this scooter is getting into real world testing. Honda Activa CNG launching Date – Once the test finished, the government will discharge the list of Authorized Two-Wheeler CNG Kit Seller for Activa also will request that 2 Wheeler organizations deliver the vehicle in CNG variant as a choice too. Now, the standard Honda Activa 3G makes around 8bhp of power and 8Nm of torque in its petrol-only avatar. Power output has taken a beating of 5 per cent and that is evident once you twist the throttle on the CNG version. 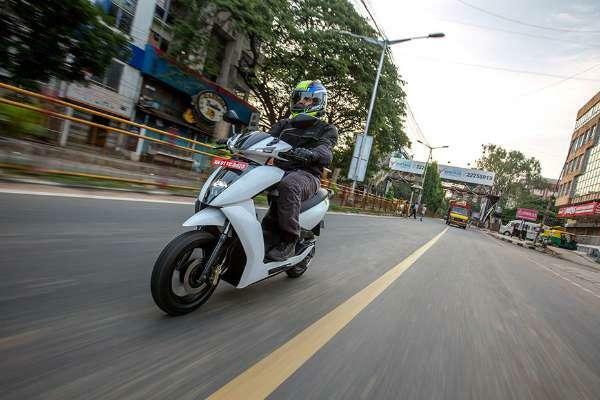 There is a slight delay in response specifically on the CNG version, but the power delivery gets linear and seamless, once the scooter picks momentum. That said, cold starts do see the vehicle struggle for power in the CNG mode and it is best advised to run it on petrol for a few kilometres before switching to the alternate fuel. Being a carbureted motor, you won’t have issues cranking the engine directly in the CNG mode. While slow power delivery is a small compromise and can be lived with, the scooter’s handling takes a hit as well. This is largely because of the additional 14-15 kg of the CNG kit with the weight concentrated at the front. This takes away the nimbleness of the vehicle and even though the additional kilos aren’t felt once set in motion; it is in dense traffic where the light handling is missed. Nevertheless, the marginal drop in power isn’t intrusive when climbing flyovers or gradients. Having run completely on CNG in our test, the scooter managed to pull the rider and pillion with ease. We started the test with half a tank of CNG and managed to get a fuel efficiency of nearly 50 kmpl in our test cycle. On a full tank, MGL and Lovato claim a figure of around 110 kmpl. MGL and Lovato say that the CNG kit equipped scooters offer a running cost of ₹ 0.60 paise per km. This includes nearly ₹ 0.48 paise per km for the fuel and ₹ 0.12 paise for maintenance. However, when you compare it to the running costs of a standard scooter that runs at ₹ 1.2 paise per km; the difference is almost half between the two. 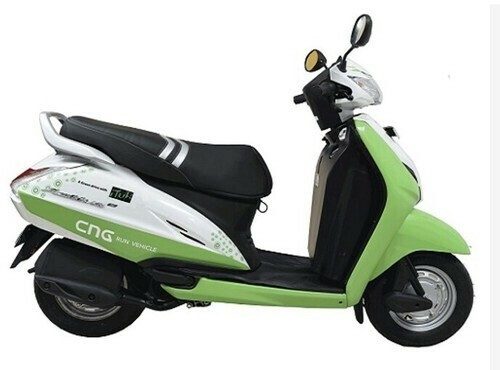 As far as maintenance costs are concerned, the company says that the CNG equipped scooters need to follow the same service intervals as its petrol derivative. Coming to after-sales support, retrofitting the kit on an all-new scooter directly impacts the OEM warranty on the vehicle. You do get a dealer warranty only on the CNG kit for a year and includes three services to check for any leakage or breaks. The kit will also be recalibrated, should the need be. The cylinders themselves have a lifespan of 20 years and need to be checked every three years for possible rusting or leakages. Petrol scooter or the CNG equipped one? The answer largely depends on which side of the fence you are on. MGL and Lovato ran pilot programs with certain corporate buyers and in all honesty, that remains the most profitable buyer for it. With delivery scooters that are prone to do exceptional numbers on the odometer, it makes business sense to install a CNG kit, which is sure to give you a profitable return on your investment. On the other hand, if you are a private scooter owner and use the same for almost all your travelling needs, the CNG kit is a viable option. However, if your scooter usage is largely within city limits and particularly for short sprints, sticking to the petrol option just happens to be a more viable choice here.